Two Boeing 747 freighters were recently sold on Taobao, which is further proof that you can buy just about anything on Alibaba's leading e-commerce platform. The aircraft were purchased on Tuesday by courier service SF Express for over RMB320 million (around USD48 million) after going up for auction just a day prior. Intially three planes had been put up for sale by the Shenzhen Intermediate People’s Court, but the third plane's auction fell through after receiving just one bid. It was the first time jets have been sold via online judicial auction in China, according to the court. 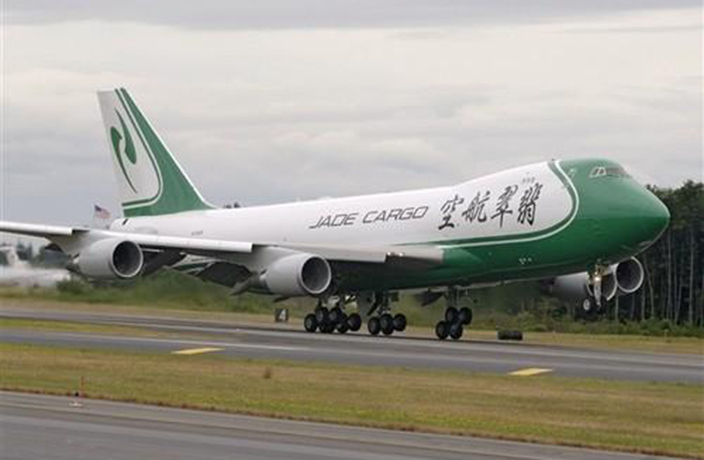 The court seized the planes from Jade Cargo International after the foreign-invested company filed for bankruptcy in 2013. It has put the planes up for auction offline six times since October 2015, with each sale falling through. In September the court decided to put them up for sale on Taobao's auction platform. The auction page for the two 747 freighters picked up over 800,000 views shortly after going up on Monday. Following 26 bids between two participants, deals were reached. The two successfully auctioned off jets, currently parked at Shanghai Pudong International Airport, were sold for RMB160.8 million and RMB162 million, up 20 percent form their initial listing price. The third plane, stationed at Shenzhen Bao'an International Airport, remained unsold with an asking price of RMB122.6 million. Taobao's bidding rules required bidders to pay security deposits ranging from RMB6.1 million to RMB6.8 million in order to participate in the auction. SF Express, which confirmed it was the buyer, must complete the full payment within 15 days of purchase. Taobao later joked about the deal on microblogging platform Weibo, writing: "Open the Taobao mobile app and click on the 'auction' button to find all kinds of bidding. According to our preferences, the system recommended we bid for 372 deer." Those deer are up for auction here, in case you were wondering. But hurry, you've only got a few days left! If you're looking for a fun gag gift for your friend's birthday or just want to cozy up with a nice hunk of meat, this pig foot will do the trick.